And hey, Sully makes an appearance too (at least, audio-wise...is Sully still alive??) 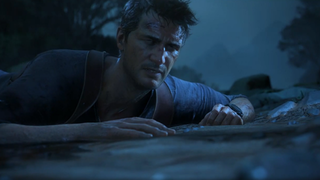 It sounds like Nathan Drake has been out of the game for a while—he seems older, and Sully seems uncertain if Drake has got it in him still. Here's the trailer. The full name, technically, is Uncharted 4: A Thief's End—pretty ominous!